Hello nail lovers! Today, I have the pleasure of bringing you Tip Top Nails Nail Chic polish. 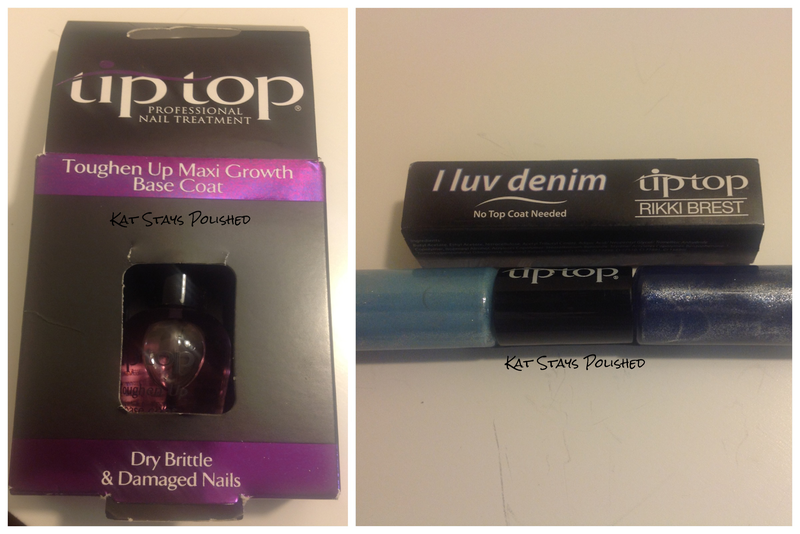 The lovely Joan over at Tip Top Nails South Africa was kind enough to send me some products to review. 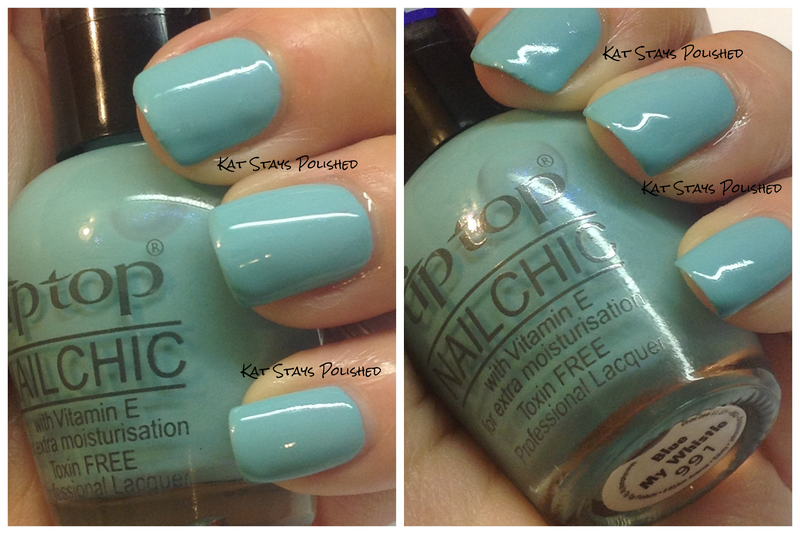 I received 5 colors from the Nail Chic line and their I Luv Denim 2-in-1 suede finish polish. Let me first start off by telling you what this company claims about their polish. This is straight from their website. The first two are about the application. - Well pigmented for perfect coverage. 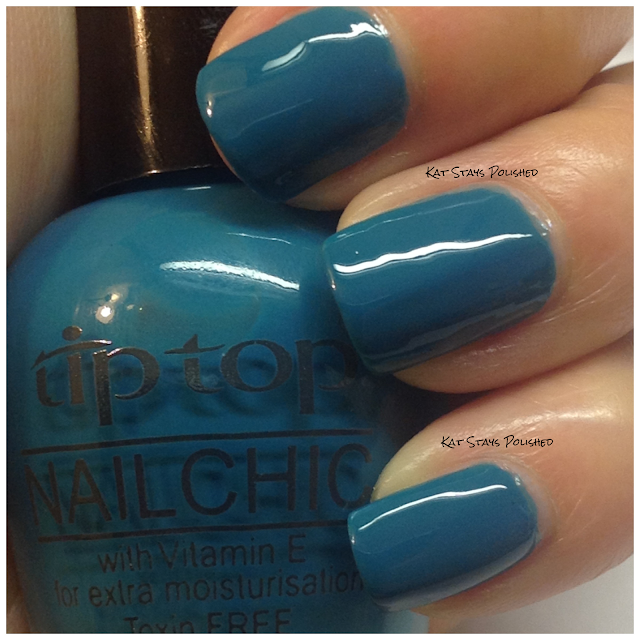 - Toxin free, our nail enamels and treatments are FREE of: Formaldehyde, Toluene, DBP (Dibuthyl Phthalate) & Camphor. - A rich collection of splendid colours. 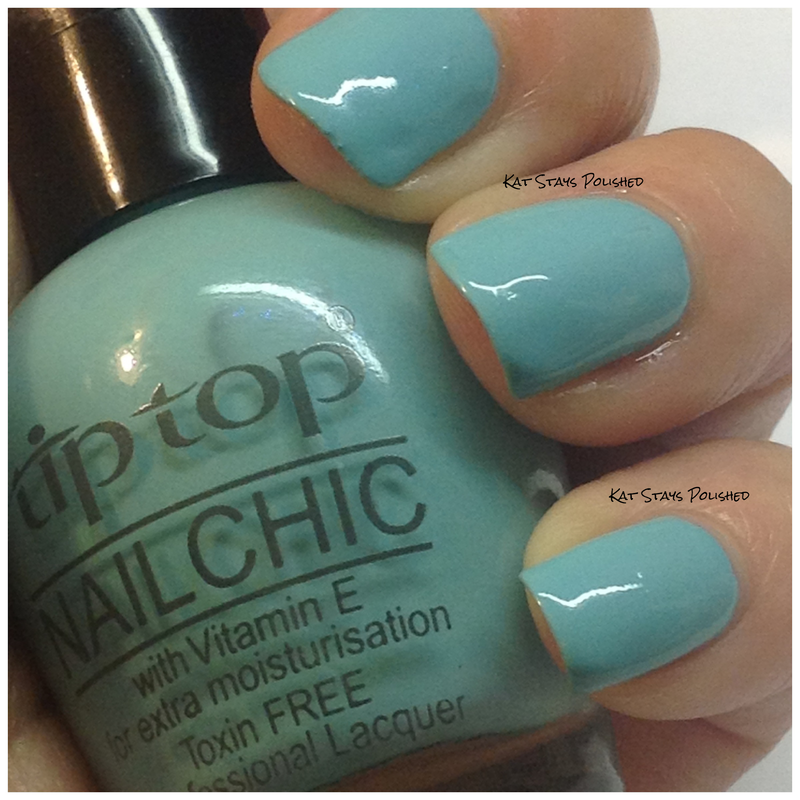 - Tip Top brings you the fashion, you choose your style. ALL of these polishes applied with EASE! They were perfect 2-coaters. 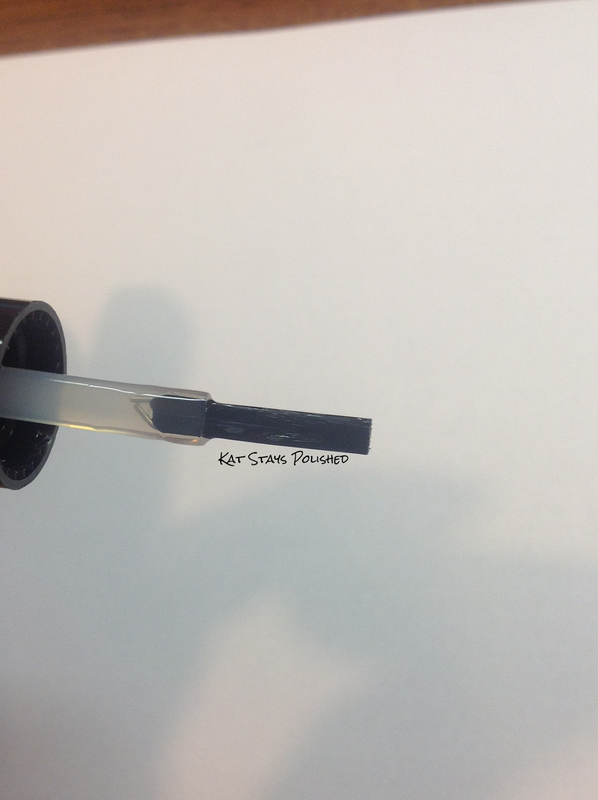 The formula wasn't too thick or too thin and the brush was perfectly flat and square. It made doing my nails a breeze! My husband must have thought I was nuts because after every color, I found myself saying, "TJ, OMG, look at this polish!" Alright, enough chatter. 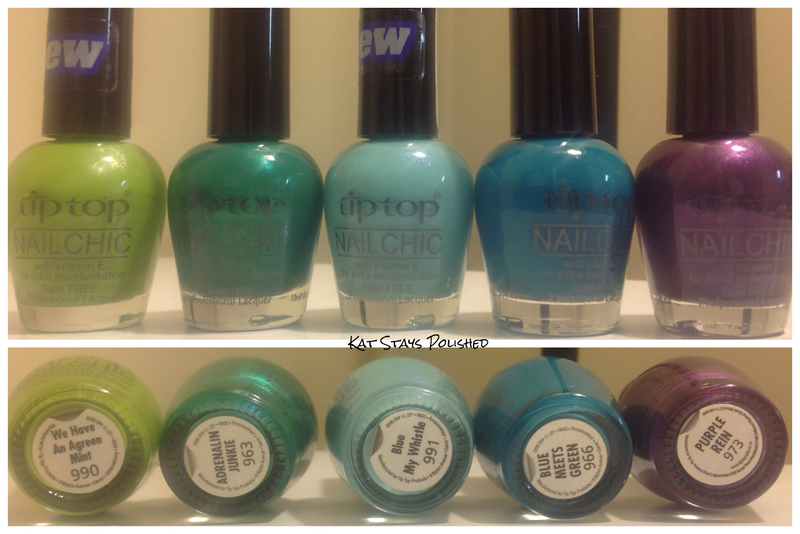 Here are the pictures of the polish and an explanation for each color. Aren't these bottles just so cute? These are 10 ml bottles. I love the shape of them too. Does this matter to you? I don't like awkward shaped bottles. 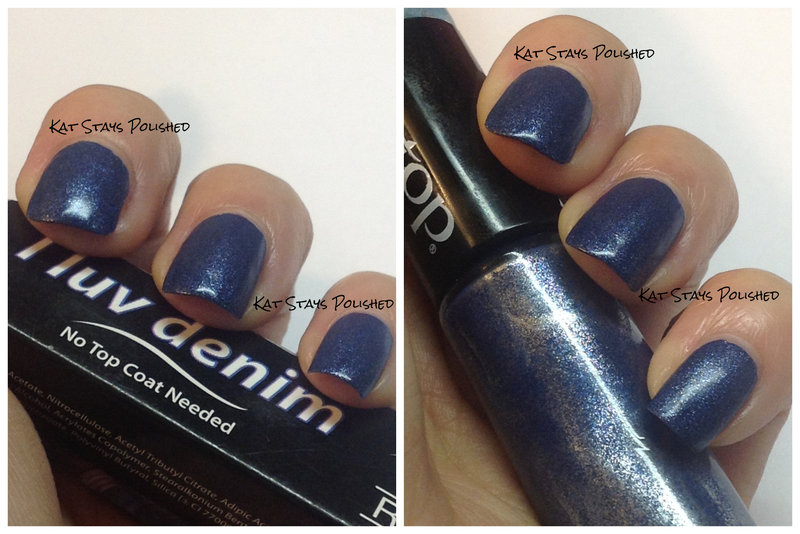 This base dries in SECONDS and it creates a smooth canvas for your nail polish. One of the best base coats I have ever used. 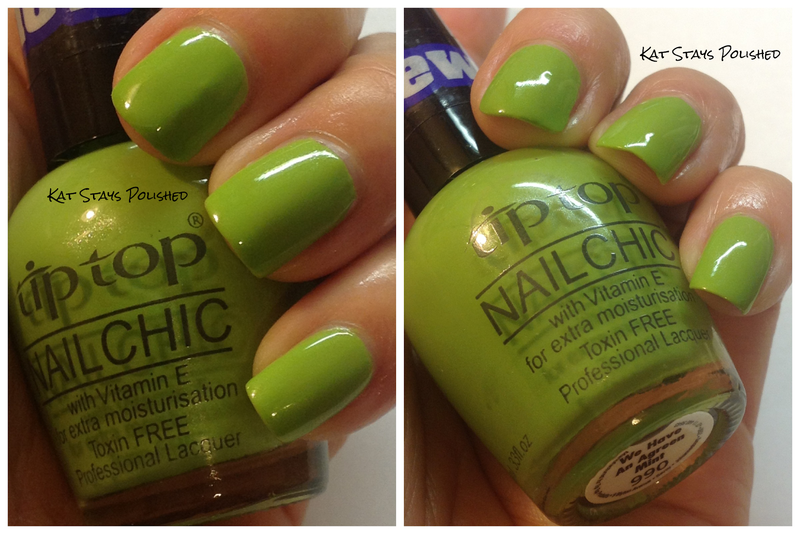 The first polish I tried on was We Have an Agreen Mint. 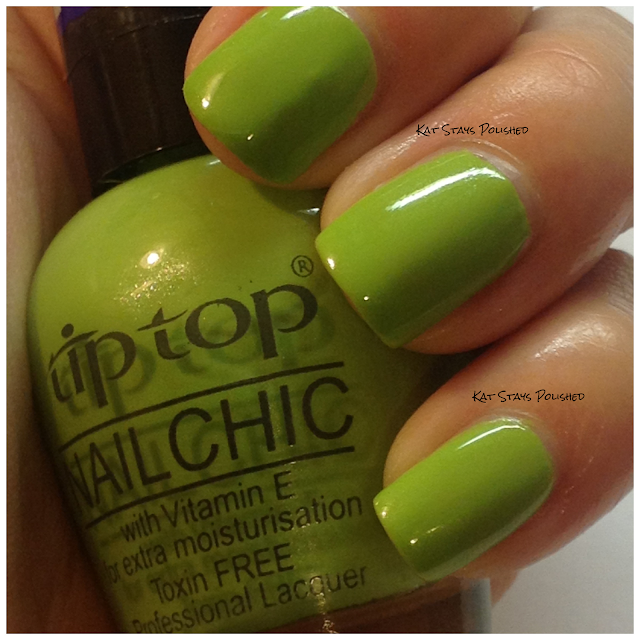 This is a lovely lime green with just a hint of shimmer. It reminded me of key lime pie...I almost wanted to eat my fingers. The second polish I tried is called Adrenalin Junkie. 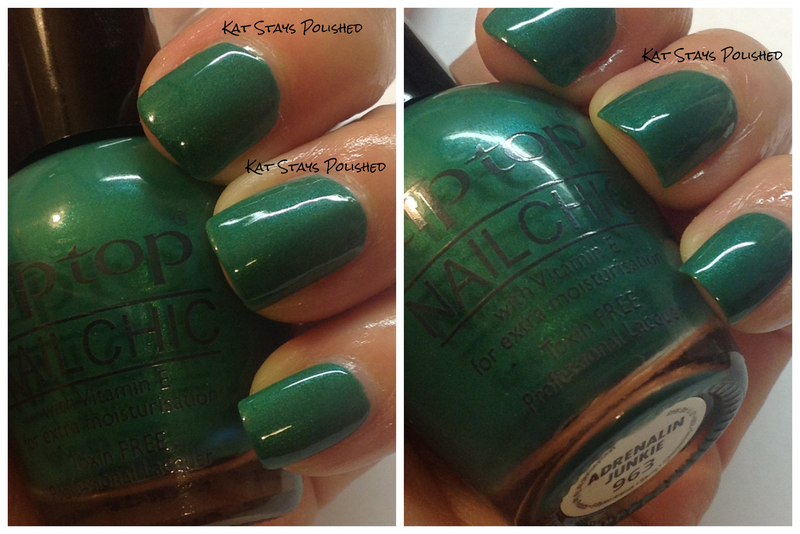 This is a shimmery emerald-like polish that is GORGEOUS when applied. 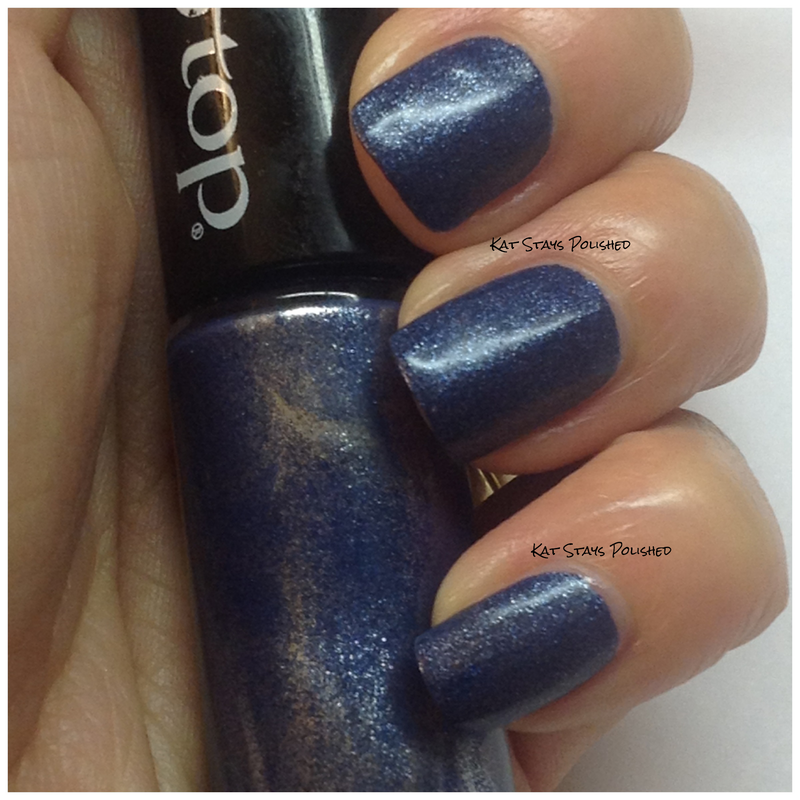 As previously stated, this polish went on flawlessly with 2 coats. 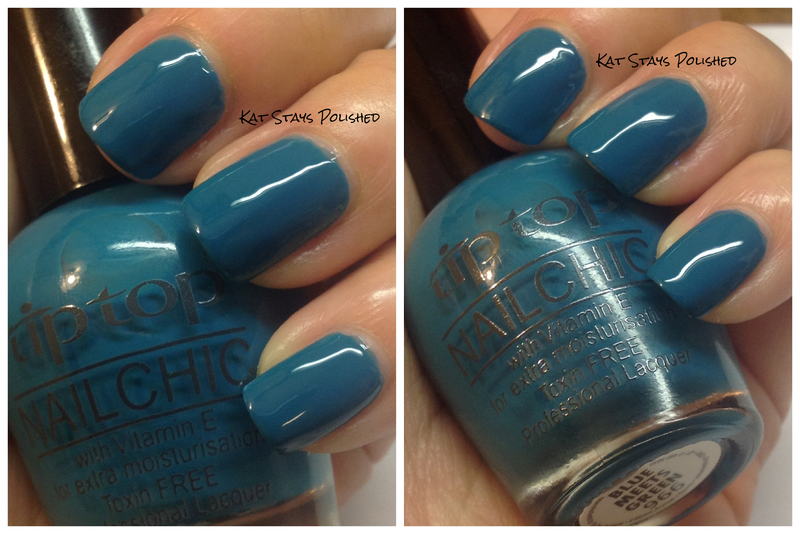 Beautiful glistening baby blue polish, comparable to Sinful Colors Cinderella. It's darker than Cinderella, but still a subtle and princessy color. This polish is exactly what the name says it is. It's where blue meets green for the perfect tealy/turquoisey manicure. It's a cream that goes on smooth. It's very hard to make or see imperfections in this polish on the nail. 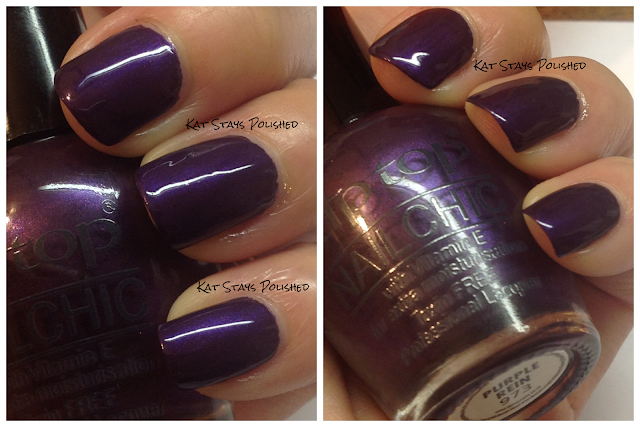 Deep, dark, metallic purple. It's amazing. This could almost be a one-coater. Your second coat should be super thin, just to eliminate a few sheer spaces. Purple lovers, this one is definitely for you. This polish was simply amazing. It's called I Luv Denim in Denim Rocks. There are two polishes in this tube. The first one is a dark blue with silver shimmer all throughout. 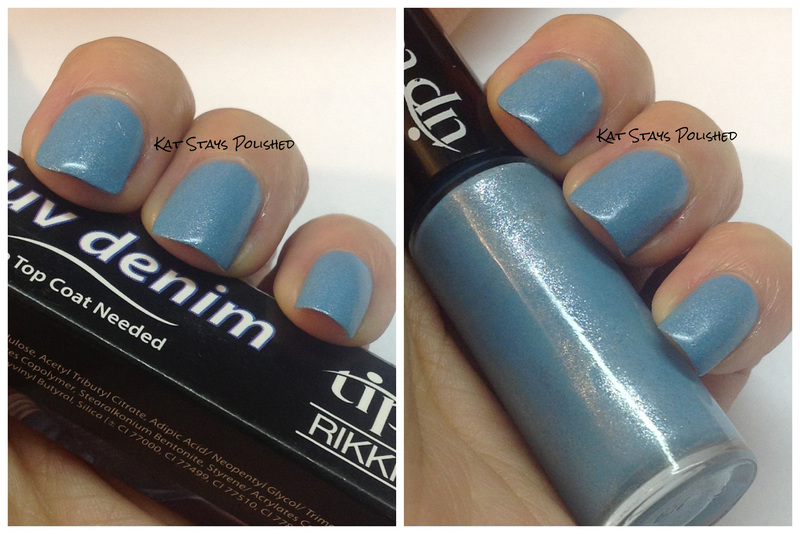 It has a suede finish that is super smooth and looks like denim. Unlike some matte and suede polishes that I have, you only need one coat of this and you do not see any brushstrokes once it's dried. The lighter blue works just the same way. It looks just like denim, smooth finish, and no top coat needed because of the suede finish.